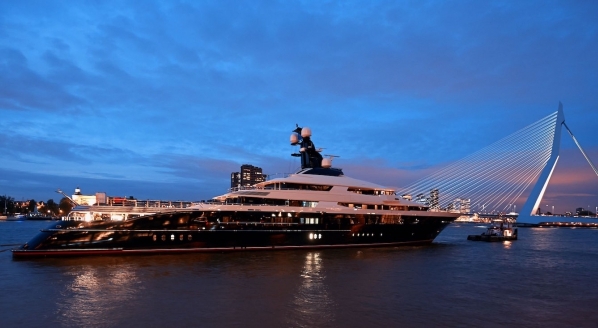 Burgess has announced that it has been appointed central agent for the sale of the 91.5m Oceanco build, Equanimity, to help end an ongoing legal dispute in which the yacht is embroiled (click here for preceding coverage). Burgess will assist the lawyers advising the Plaintiffs and the High Court of Malaya in the advertising and sales process. The judicial sales process will follow strict guidelines, which, according to Burgess, will comprise the submission of sealed bids by qualified potential buyers. The bids will then be considered by the Sheriff of the High Court of Malaya at the end of November (exact date to be confirmed in the coming weeks). In accordance with Admiralty law, the judicial sale will provide the buyer with internationally-recognised ownership, free of mortgage, attachment and all encumbrances. Burgess did not confirm whether this strategy has been employed as a result of the issues pertaining to the long-winded judicial sale by auction of M/Y Indian Empress recently in the Maltese Court, which eventually fell through and led to a private sale a day before the yacht’s second scheduled public auction. According to Burgess, there will be no published ‘asking price’ or ‘reserve price’, although the High Court may decline even the highest bid if it falls below the formal Court-appraised value of the yacht. The appraised value of the yacht, provided by Winterbothams, will remain confidential until all bids are received and opened by the Court. Subject to the above, the High Court is likely to accept the highest bid from a bidder meeting the due financial criteria. Seven weeks ago, holding company Equanimity Ltd. issued an impassioned statement chastising the Malaysian government for maltreatment of the yacht whilst in custody. The statement said that ‘Malaysia’s seizure of the vessel is already contrary to a US court order appointing the US government as custodian of the yacht’ and that ‘the US has not proven its case regarding the Equanimity’. The statement by Equanimity Ltd. also criticised Malaysian officials for being impatient to sell, potentially harming the residual value of the yacht, and called the Malaysian government ‘precipitous, ill-conceived, and misguided’ for allowing the yacht to continue running on generator power 24/7. Burgess rejected these claims by saying ‘the yacht is in good condition, in a safe environment, berthed at the Port Klang cruise ship terminal in Malaysia, and is being taken care of by a professional yacht crew under the supervision of a specialised yacht management company. As is practice in judicial sales, the maintenance costs of the vessel in the meantime are advanced by the party requesting the court for the sale. The costs are then recovered from the purchase price following a successful sale. SuperyachtNews will stay abreast of the developments and announce any more facts and updates as and when they become clear. Prudent ownership will form an integral part of the discourse at The Superyacht Forum in Amsterdam from 12-14 November. To view the programme, click here, and if you haven’t booked your place yet, click here.